This post should be called ‘ Use Fat for Fuel.’ Simply put, beyond all of the Biochemistry and technical jargon associated with Ketosis, this is exactly what happens. When you eliminate a lot of Carbohydrates from your diet, instead focusing on quality Protein and Fat, the body is able to pull stored Fat and use it for energy. It is a win win situation. What happens is when your cells are low of its preferred source of energy: Glycogen, (blood sugar), it breaks down stored fat in cells via a process called Beta Oxidation, thus converting free fatty acids into Acetyl coenzyme A to be used as energy. This whole process is called Lypolisis. 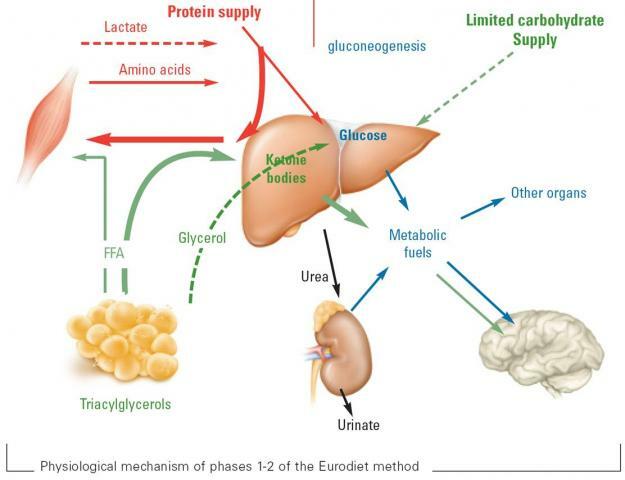 The body naturally senses glycogen shortage and calls on the Liver to produce Ketone Bodies, which are shipped out to the cell to begin the process. There are two main ketone bodies: Acetoacetate and β-hydroxybutyrate, which create a state of Ketosis. Ketosis is simply utilizing an alternative source of cellular fuel to create energy for the body. The fuel being fat. Simple right? Who knew Biochemistry could be so fun! Eliminating Carbs … What’s Really Important! Low in carbohydrates is vague, but the number most agree upon is 50-80 grams of carbs per day to promote Ketosis. A great way to encourage Ketosis is to practice Intermittent Fasting. No, this isn’t a Gandhi hunger strike, but possibly going without food from dinner the night before until lunchtime the next day. A long walk or a moderate intensity workout in the morning ensures pulling fat for fuel. Also, another important mechanism called Apoptosis encourages cell-death of useless cells, purging them for the creation of new and stronger ones. Other things to consider which even the medical community is waking up to: too much blood sugar equals a breakdown of the blood-brain barrier and bad things happen. Bad things like Alzheimer’s, Dementia, Stroke, Parkinson’s, Peripheral Neuropathy, and Tumors. So, there you have it, an intro to Ketosis. a powerful weapon to not only pull and use stored fat as fuel, but an overall healthy and normal mechanism for the human body.